There's never been a better time for buying rental properties-interest rates are low, and credit is more freely available to those who want to buy and invest. But where does one begin? 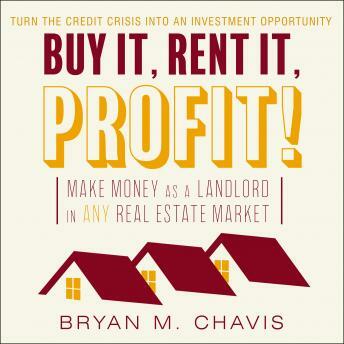 With more than twenty-plus years of experience in real estate and as the founder of The Landlord Property Management Academy, Bryan M. Chavis knows all phases and aspects of working with rental properties. In Buy It, Rent It, Profit! he explains why rental properties are such a wise investment in today's real estate world and outlines the steps and systems you need to implement to become a successful landlord and property manager. This updated edition of the modern classic includes advice on being a profitable and professional landlord, protecting your investment, learning what types of property you should be purchasing, and adapting to the ever-changing world of technology in real estate. Chavis also provides systems on how to attract quality tenants, negotiate lease agreements, collect rent, finance a mortgage, and manage the property overall-everything you need to become a smart, profitable, and professional property manager.